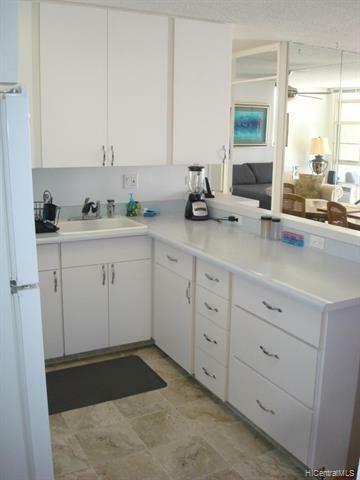 This rarely available fee simple corner unit in the "05" stack on the 19th floor offers the largest 1 bdrm layout in the Waikiki Lanais. The entry foyer is unique to this floor plan. 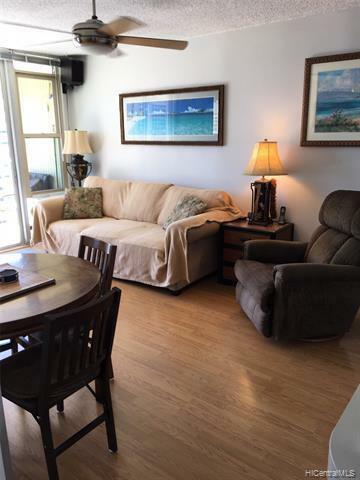 Centrally located a few blocks from the beach and conveniently located within walking distance to many shops and restaurants and all that Waikiki has to offer. 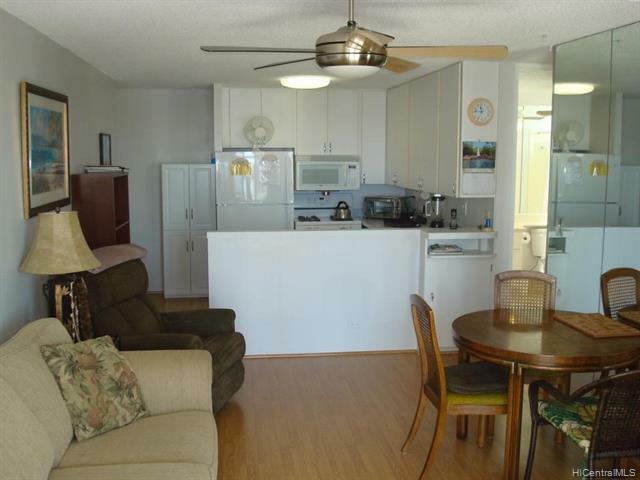 This high floor provides beautiful ocean, sunset and Diamond Head views. 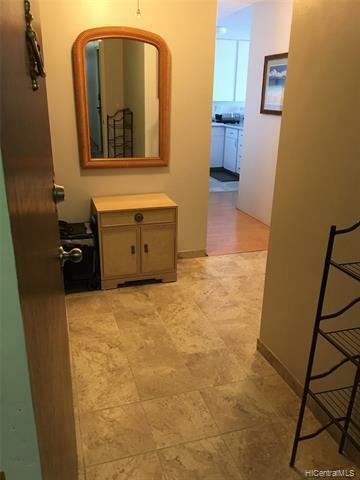 Great amenities which include a roof deck with BBQ grills, pool, sauna, whirlpool, exercise room as well as 6 guest parking stalls.Maintenance fee includes electricity, gas, cable, internet, water, hot water and sewer. Pet Friendly!